The authentic feel to Shenmue's streets comes, as always, from Yu Suzuki's meticulous attention to detail. 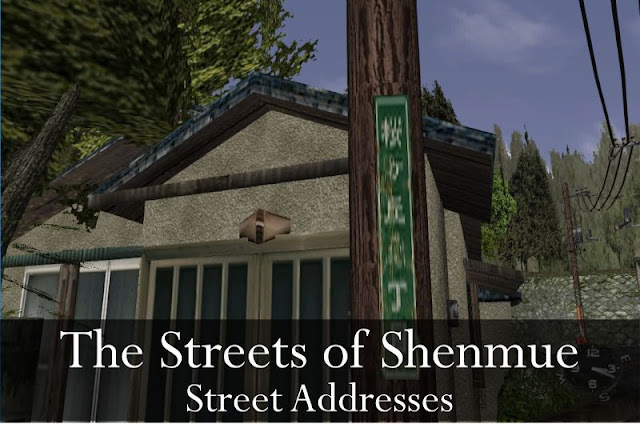 Over a series of posts we'll look at the way the streets are portrayed in the first game accurately reflect real life, starting with those relating to street addresses in Japan. One complication when navigating roads in Japan is that the majority of them do not have names, outside of the larger roads in cities or roads that are noteworthy. "Dobuita Street", for example, is one such exception (see "The Origin and Meaning of Dobuita" for the story on how it got its name in real life). So it is common for people to make use of nearby landmarks for clarity when giving verbal directions: "Take the second road on the right after the shrine...". Although there is more than one addressing scheme in use within Japan, in general each house or building is identified by its own unique numbered address. The address is specified starting with the prefecture which is the broadest level, and (in the case of a suburban address) gradually narrows down to a city district number (丁目 chōme) and then finer divisions beneath that. The district you are in is often helpfully posted on a nearby utility pole or wall. 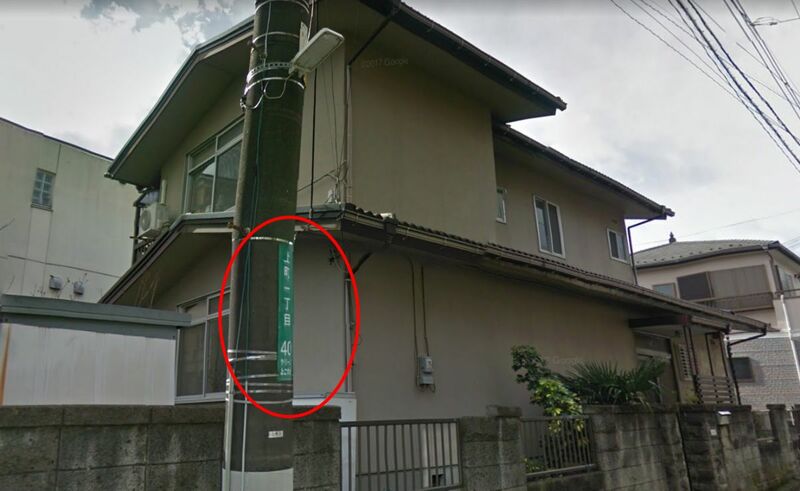 Example: if the building is located within the first city district of Uwamachi it would be written 上町一丁目 Uwamachi 1-chome, as in the photo below. In Japan address indicators for the area are often attached to power poles or walls. Look somewhat familiar? 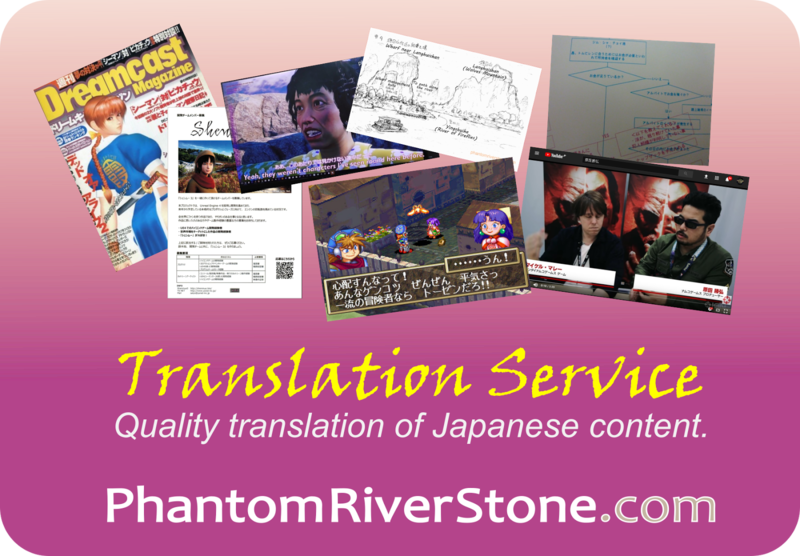 Such signs are also to be found on the power poles around Ryo's hometown, particularly in the areas of Yamanose and Sakuragaoka. Address indicator sign in Shenmue, which reads Yamanose ? -chome. (In fact, the exact number of the district has been artfully obscured on all such signs in the game so that the same textures can be used multiple times). Confusing the Japanese address situation further is the fact that addresses are often not laid out consecutively within a certain area, as in old days they were assigned in the order in which they were registered. Before handheld devices became ubiquitous, this used to make locating an address quite a mission. Hence boards with a detailed map of the local area are often found (even today) at train stations and bus-stops, or attached alongside walls at the side of suburban streets. 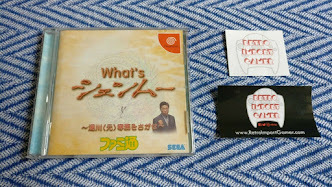 Shenmue again captures this element perfectly within the game, cleverly providing the player with the opportunity to make genuine use of these in order to navigate Ryo around the shops in Dobuita, or to help the old lady to find the Yamamoto's house in Sakuragaoka. 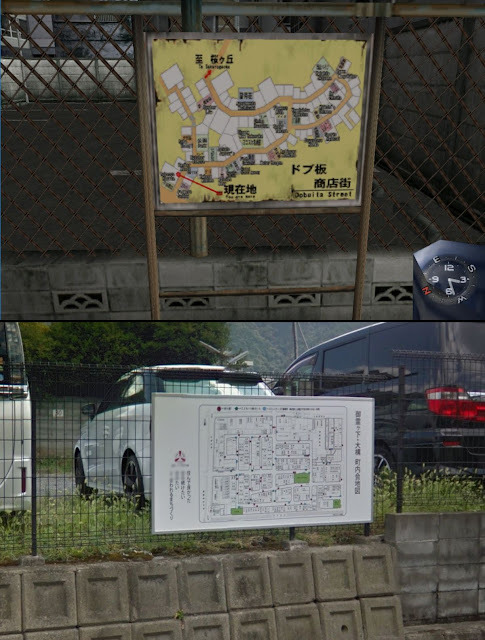 A map board in Shenmue (top) and an example of one in real-life (bottom). 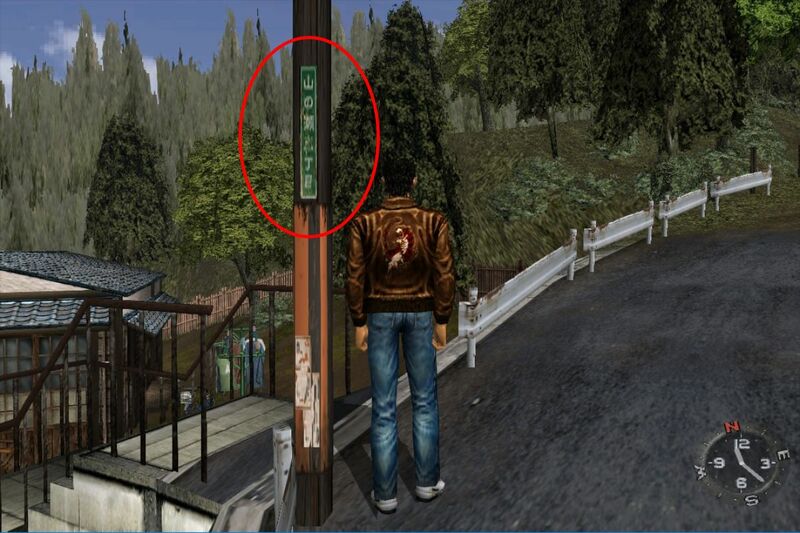 In the next "Streets of Shenmue" related post, we'll look at bus stops and post boxes! 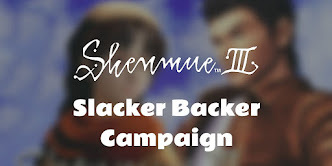 I say it so much but I still can't get over the level of detail in Shenmue. I'm still amazed by it to this day! Yes, an insane amount of detail for a game made back then!